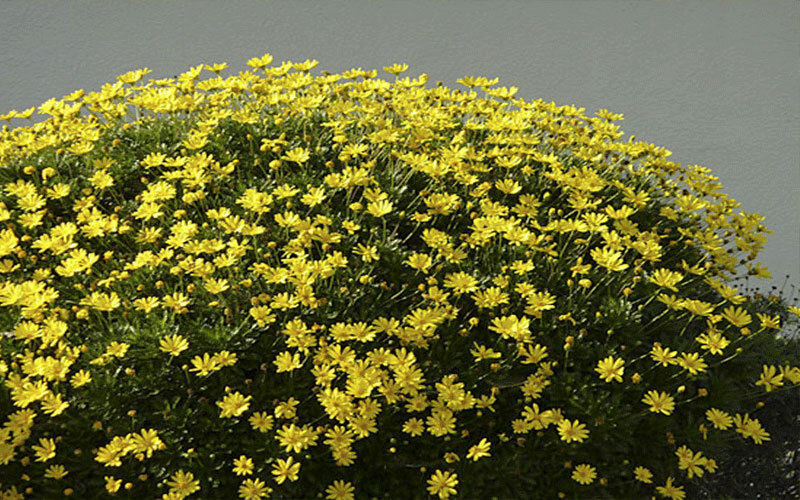 Golden daisy bush is a South African shrub bearing bright yellow flower heads and attractive, narrowly divided leaves. 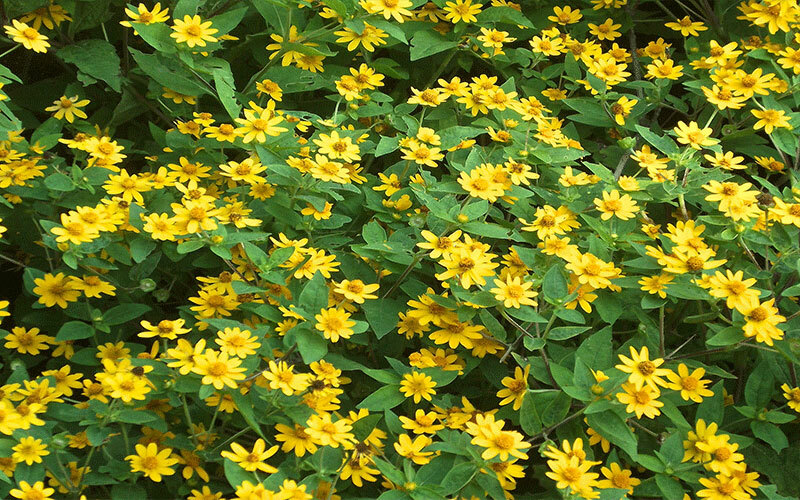 The Daisy Yellow Bush has rich yellow flowers almost year round, may have reduced numbers when weather approaches freezing for an extended period of time. Can attain a height and spread of 6 feet. Effective in border, container and rock garden plantings. 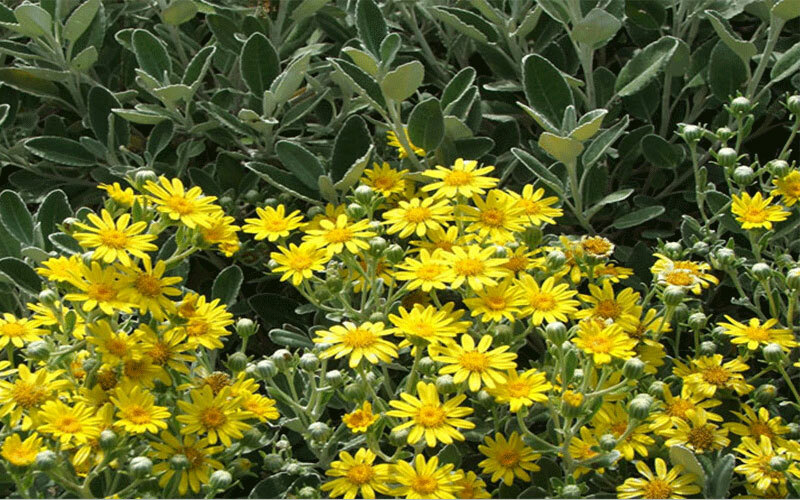 Plant The bush daisy is ideal for mass plantings, mixed flower borders, and as a container plant. Bright yellow flowers appear in great numbers throughout the season and are quite striking against the delicate, dark green foliage. The loose, rounded form makes a colorful small shrub, or works well in mass plantings, mixed flower borders and containers. It can grow up to three feet tall and four feet wide. 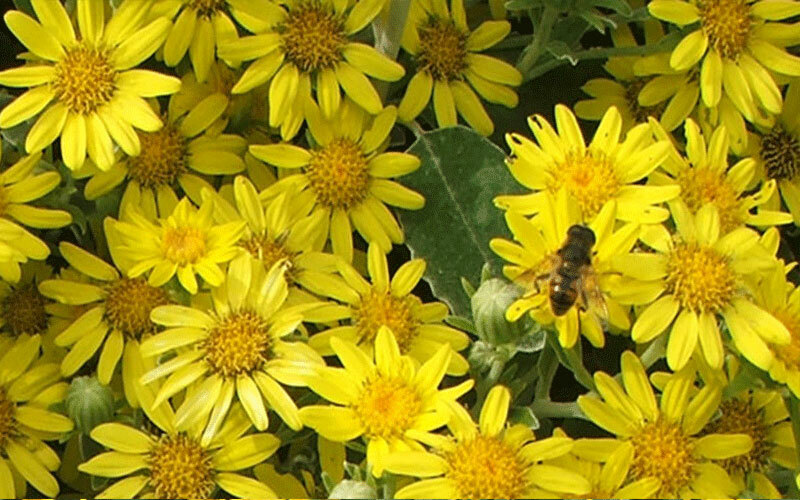 Bush daisies will grow in most soils and do best in full sun. They are moderately drought tolerant, but should be kept watered during dry times for maximum flowering. During cold snaps, they will die to the ground, but will re-emerge in spring. In the right location and with an occasional light pruning, bush daisies form a striking mound of brilliant yellow flowers that seem to float above the shiny green foliage. In south Florida they bloom nearly year round.